Location: Sceaux, in the Hauts-de-Seine departement of France (Ile-de-France Region). 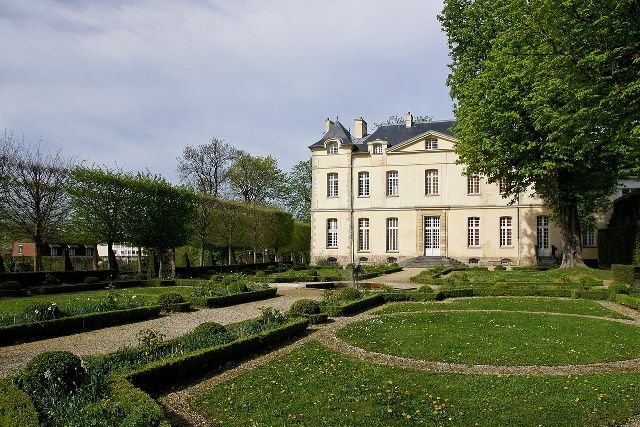 Notes: Petit château de Sceaux is a French chateau classic style located at 9 rue du Berger Dr Sceaux (Hauts-de-Seine), built in 1661 for Nicolas Boindin.Nicolas Bodin, notary at the Châtelet in Paris in 1629 purchased the farm of La Squash, and built the small chateau in 1661. On 22 November 1644, he exchanges with Jean St. Jean, notary at the Châtelet, a vine against a Sceaux pension in favor of family Bouttemotte Marie, the wife of John of St. John. Nicolas Boindin died in February or March 1662 and work is continued by his son, Nicolas, King's advisor in charge of real estate business in the city of Paris. The building was sold by the heirs of Nicolas Boindin son to the State Councillor François Boult. In 1682, Jean-Baptiste Colbert (1619-1683) buys to François Le Boult and integrates its domain Seals. He made this place the residence of his guests. Three years later, the death of his father, it was his son, Jean-Baptiste Colbert Seignelay (1651-1690), who inherits. Later, Louise Bénédicte de Bourbon-Conde, duchess, the reserve for his children to keep them away from the worldliness of the court, and under the responsibility of Mrs Malezieu responsible for their education. The Duke of Penthièvre there will house his chaplain and his Cornuo treasurer. In 1935 took place in the small chateau Court Love félibréenne tradition. From 1948 to 1960, the ground floor and first floor sheltered a municipal library and Financial Services Enregistrement6. Le Petit Chateau was given the seat of the Council architecture, urbanism and environment (CAUE) of the Hauts-de-Seine until 2009, and joined the Museum of the Île-de-France, became, in 2014 museum of the county Domaine de Sceaux.